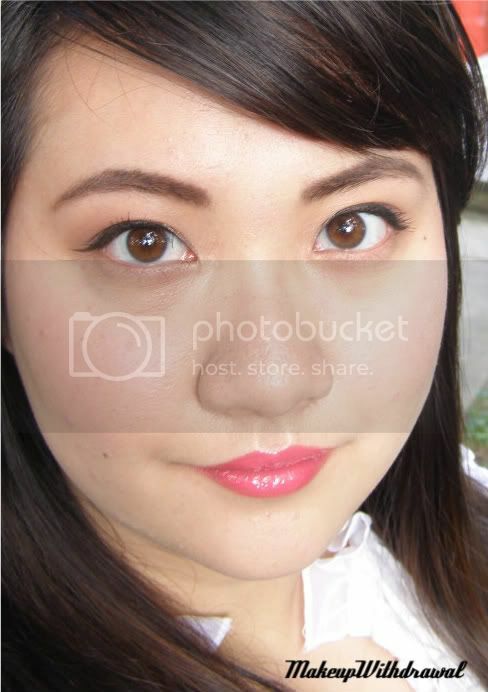 I had a lot of strawberry-coral products on today, I can't help it- it's my favorite summer color! And look, I actually had time to take pictures before the sun went down! And of course, strawberry holo nails as well. 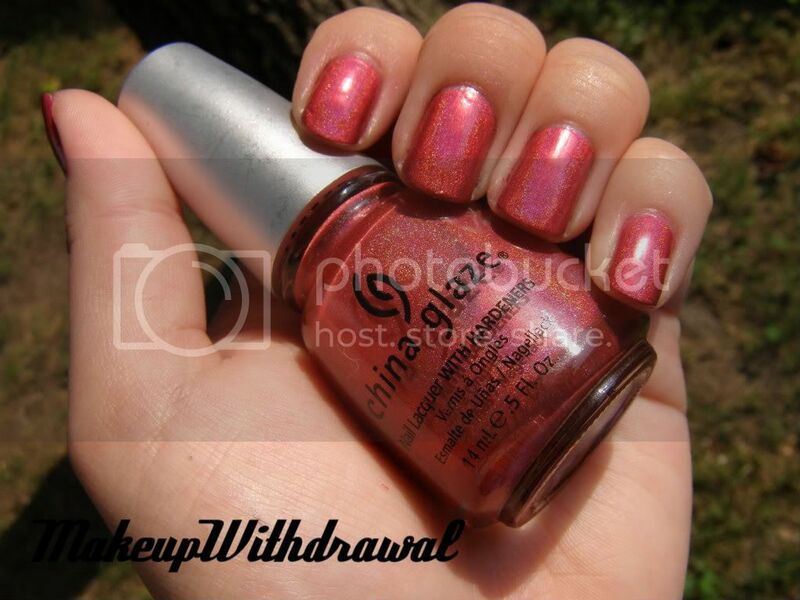 This is China Glaze's TMI from the OMG collection. It's probably the most subtle holo I own and I'm kinda 'meh' about it for that reason. I mean, for me- the whole point of a holo is the *BAM* in-your-face 3D sparkly effect. The formula itself wasn't very forgiving either, it seemed to really emphasize nail unevenness. But, it's still a nice color nonetheless. Orly Cosmic FX- Space Cadet is MINE!